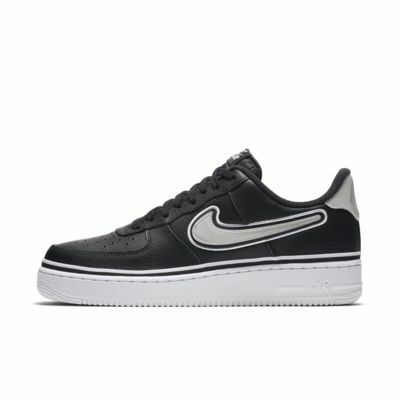 Celebrate your favorite NBA team with the Nike Air Force 1 '07 LV8 Sport NBA. Hoops-inspired performance features of the 1982 original are combined with bold team colors and a lenticular Swoosh design that shifts color as you move. Celebrate your favorite NBA team with the Nike Air Force 1 &apos;07 LV8 Sport NBA. Hoops-inspired performance features of the 1982 original are combined with bold team colors and a lenticular Swoosh design that shifts color as you move. Tumbled leather adds a premium look. Swoosh design shifts color in the light. Colors take inspiration from NBA team jerseys. Low-cut silhouette for a comfortable fit around your ankles. Durable, non-marking rubber in a sleek cupsole design honors the traditional AF-1 look. If you are thinking that when it says it will arrive in a week they are saying the truth..then you are wrong. They told me that these shoes will arrive next Monday I was hoping for it to come then but I got a message saying it was already delivered on Friday of the same week I bought them I am so surprised how fast it came.